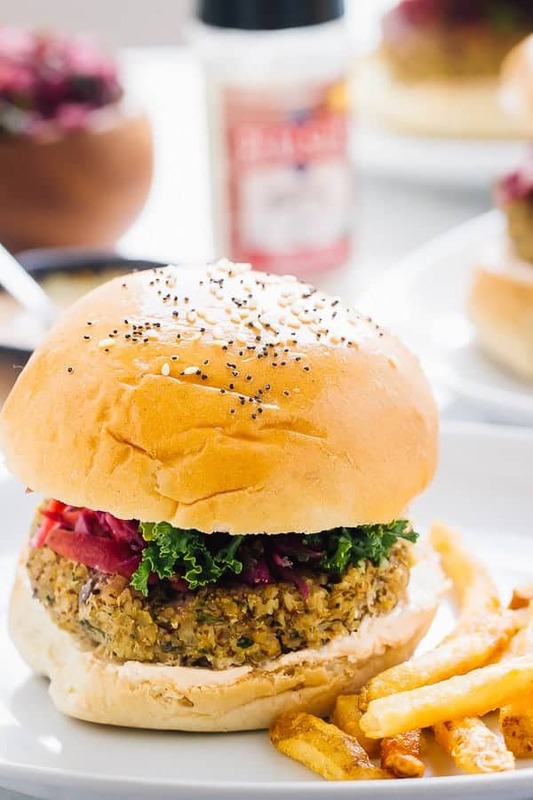 These Vegan Quinoa Cauliflower Burgers have been a HIT every time we make them! They are filling, delicious and so easy to make in large batches! This is a sponsored post written by me on behalf of Real Salt! All opinions and text are 100% mine. 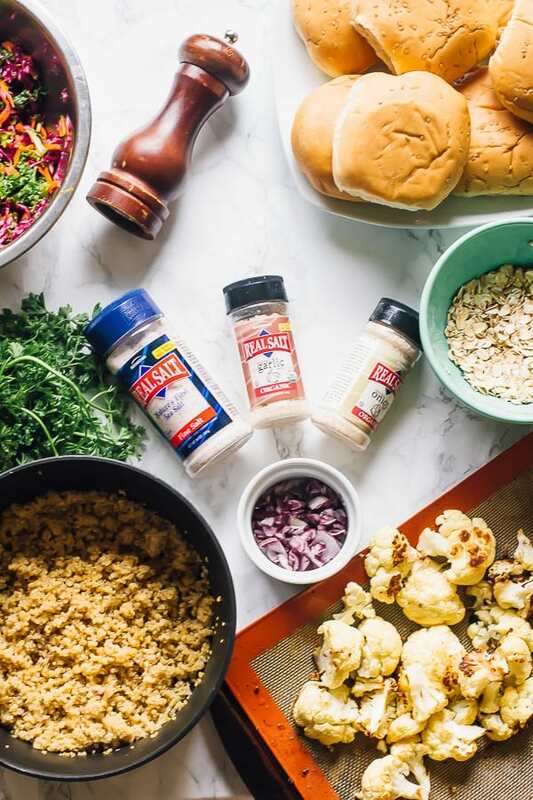 Thank you for supporting brands that help to support Jessica in the Kitchen! These burgers. 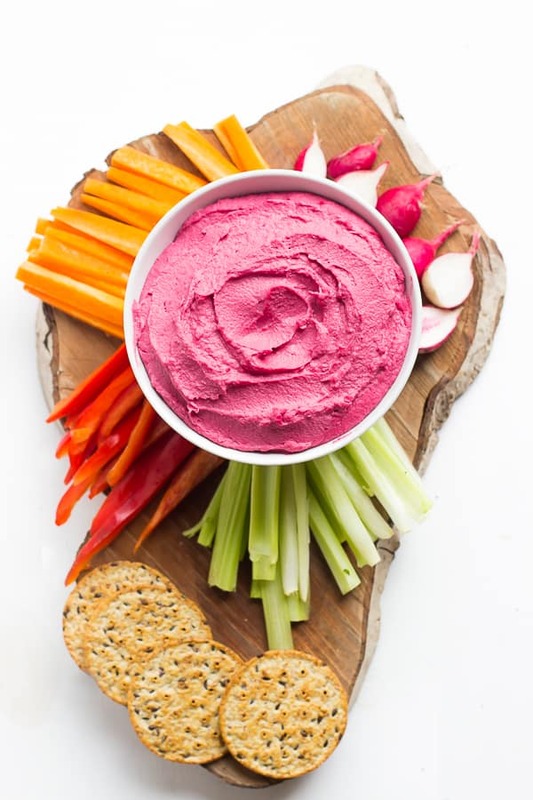 I tell you, being a food blogger is a funny thing because one second you think you’ve found your new favourite recipe, and then the next week that’s changed. It’s safe to say that these are my current favourite veggie burgers. I have really high veggie burger standards, so that’s saying a lot. 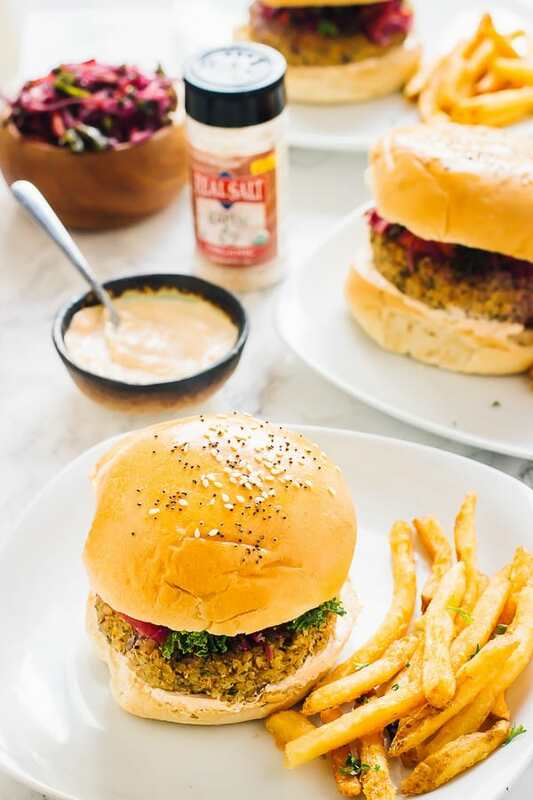 I want you to make these burgers, but in order to truly experience them, I want you to make them with this amazing Real Salt Garlic Salt, the world’s most amazing slaw, and this incredibly addictive vegan chipotle slaw. Let’s get into these, shall we? When I attended the Everything Food Conference back in May of last year, I got the chance to connect with Real Salt and I’ve had a pretty amazing relationship with this company since then. They sent me their products to try and it’s an understatement to say I was head over heels. The Mr. and I kind of just moved all other salt products way to the back of the pantry and placed these prominently at the front. I’ve even been using less garlic when I use Real Salt‘s Garlic Salt. Me – garlic queen! So when the opportunity to collaborate came, I was beyond excited to partner with them. 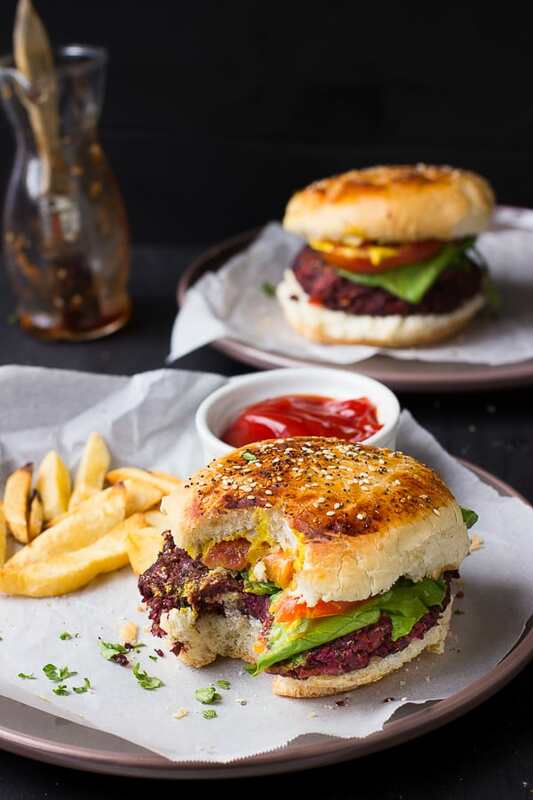 These burgers are a true testament to highlighting all the greatness that comes from pure, natural ingredients mixed together and presented in a truly fantastic veggie burger. One of the reasons I loved Real Salt was that it ACTUALLY caked, you know, like salt that doesn’t have preservatives?! It’s 100% real so you have to shake it on the counter a bit every time, which honestly enhances the experience every time for me. There’s no greater feeling for me than knowing that everything you’re eating is coming from the best possible natural source. Anyway, aside from my love of Real Salt, my love for these burgers is Real Too (see what I did there?)! 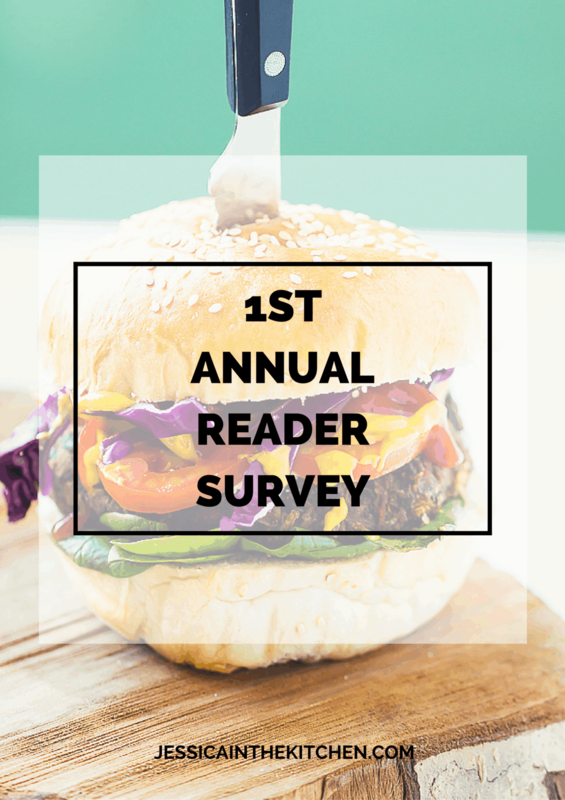 This burger idea came to me because of my love of cauliflower, my love of quinoa, and my love of veggie burgers. It’s really that simple. I’m always looking for new ways to make veggie burgers, and these cauliflower burgers were perfectly in theme with the upcoming Fall season. They are so simple to make and if you follow me on Snapchat you saw that for yourself. I combined roasted cauliflower, quinoa, flax eggs, oats, garlic salt, parsley, red onion and black pepper. Mixed it all up, formed patties, and pan fried them in a bit of coconut oil. Simple and so delicious. The garlic salt is a real powerhouse seasoning. The fact that it’s one of the only seasonings in this recipe speaks a lot to that. You all know I love a well seasoned burger, and a teaspoon and a half of that really did the job. 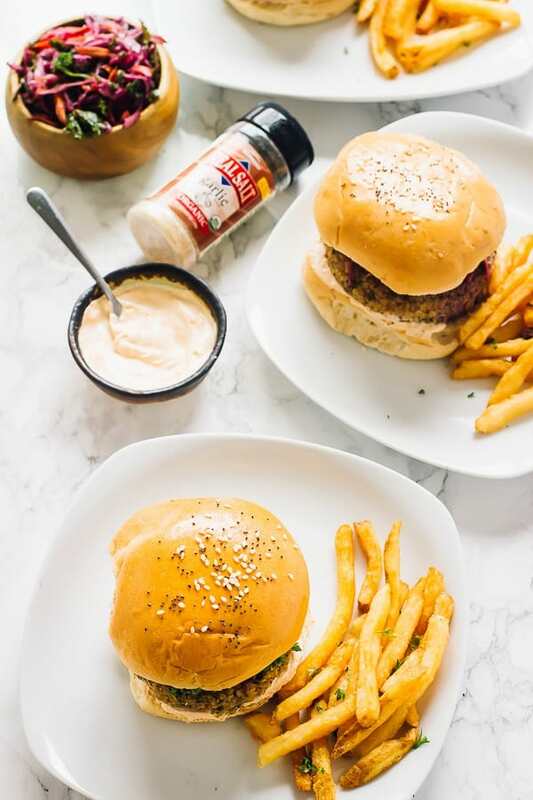 It may seem like a lot, but since it isn’t just salt don’t worry, you aren’t overloading your burgers with salt. It’s a great mix of garlic and salt and really shines through in these burgers. 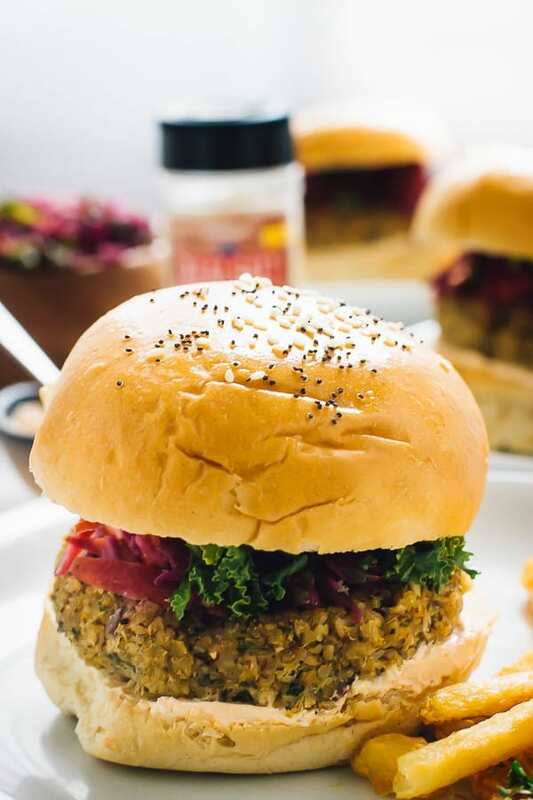 I love a great loaded veggie burger, so to complement these cauliflower burgers I added my all time favourite slaw my Kale Cabbage Slaw, and my Chipotle Crema. You can load it even more if you want with some more greens, onions and tomatoes. 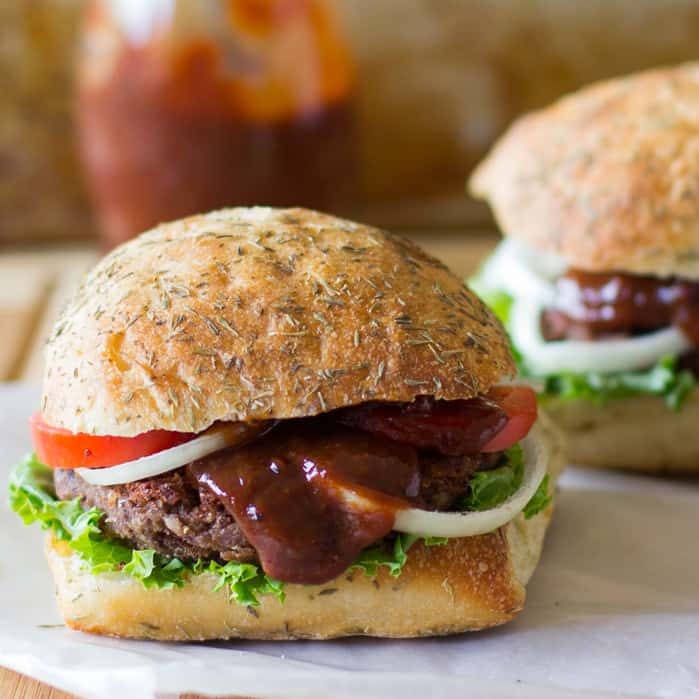 These burgers will leave you satisfied, happy and filled with tons of nutritious and delicious ingredients. Also: 5.6 grams protein per burger, about 133 calories and 4.8 grams fibre. Win, win. Best part? They freeze perfectly. They’re in my freezer right now and it’s as simple as reheating them in the pan just like any store-bought veggie burger. They’re actually begging me to reheat them for lunch, so I’ll see you later, friends. Let’s toast to these cauliflower burgers when next we see each other. 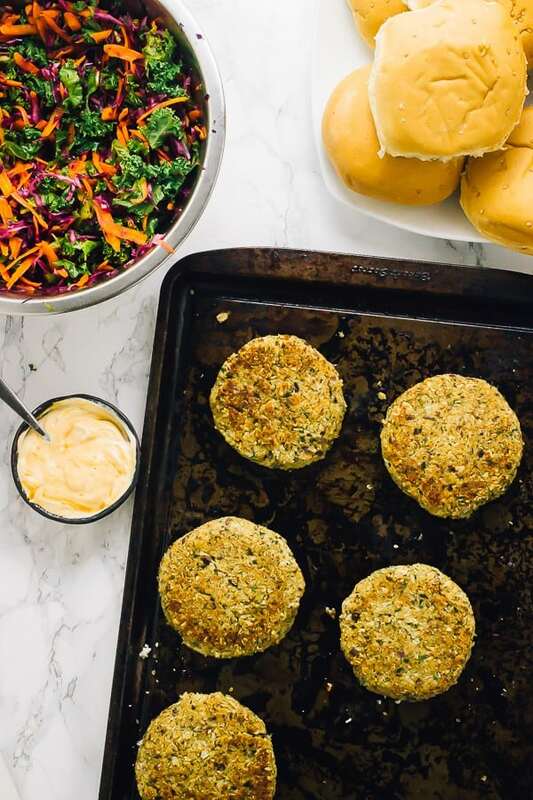 If you try these Vegan Quinoa Cauliflower Burgers please let me know in the comment section below, or tag me on instagram with the hashtag #jessicainthekitchen! For more exclusive recipes follow me on Instagram AND on Snapchat: jessinkitchen. Chop the florets off of the cauliflower, drizzle lightly with coconut oil and roast at 450 ° F/ 230° C. on a lined baking sheet for 15-20 minutes. Remove from oven and allow to cool slightly. In a food processor, add all of the burger ingredients. Pulse together until combined and it begins to come together, not too much to make it mushy, about 10 to 30 seconds. Add more Garlic Salt and black pepper to taste if necessary. Form into 5 regular patties, or ten slider patties if you desire. In a pan over medium heat, add the coconut oil. Add the burgers, as much as can fit in the pan without overcrowding, and cook for about 4 to 5 minutes. Flip and cook again for another 4 to 5 minutes, ensuring the burgers and cooked all the way through. 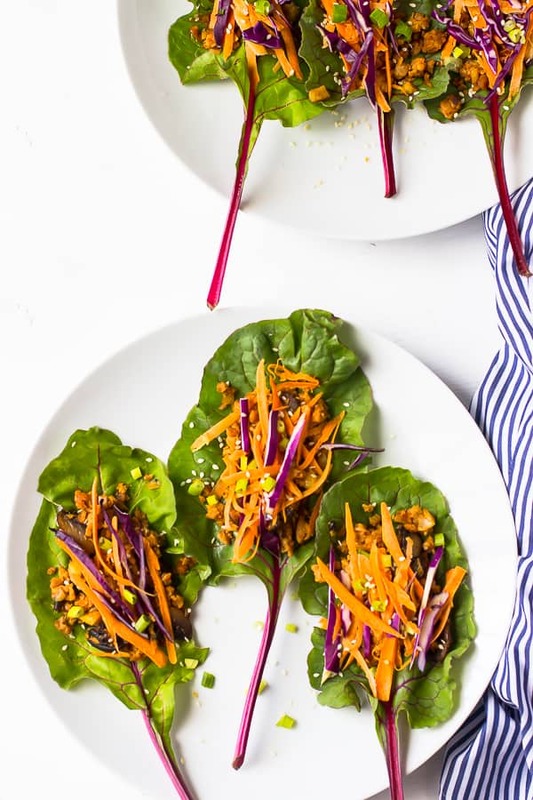 Remove from heat and serve Serve as you desire, in a burger form or in a lettuce wrap. We added Kale Cabbage Slaw, Chipotle Crema and vegan burger buns. Enjoy! These burgers are vegan and gluten free. This recipe is vegan. Flax meal is ground up flax seeds. You can buy flax meal or you can ground flax seeds up in a coffee grinder or NutriBullet. Measure the tablespoon after the flax is ground up. HOW TO STORE Store in an airtight tupperware container in the fridge with wax paper separating each burger. You can also freeze the burgers by freezing them flat on a baking sheet for 2 hours, then storing in a freezer safe zipped bag with wax paper separating them. Thaw these burgers in an oven at 350 ° F/ 175° C until fully cooked through, or in a pan over medium heat until fully heated through, for about 10 minutes. Now this is my kind of burger! I’ve never had one quite like this before, but I love the looks of it! Who knew quinoa and cauliflower could make a burger so delicious? YUM! It goes so well together and makes it so filling! Thanks Gayle! Love a healthy burger option! Haha four coming your way friend!! Thanks so much!! <3 Hope you have a great week!! Absolutely gorgeous burgers!! And I need to try real salt with your recommendations. I am so excited to make these burgers! As soon as I get my shipment of gluten-free oats, I’m giving these a try. I hope you enjoy Johnna!! Thanks so much!! Absolutely amazing! As a chef and manager of my own BnB up in Arctic Norway I have to say that your burgers have become a great supplement for our vegan guests. Thank you so much. WOW! Thank you Daniel, I’m honoured!! You’re so very welcome and I’m so glad that they are helping! I wish I had noted this! I made this recipe about two years ago, before I started to put more accurate measurements on my cauliflower sizes. I would say a medium sized cauliflower would yield about 4 cups of cauliflower florets. Hoping that I make this one again soon so that I can remeasure and re-weigh! I hope you enjoy, thanks Michelle! !